A U.S. researcher who contracted Zika virus after pricking herself with a needle during an experiment last month, has returned to work, the University of Pittsburgh said on Friday, The Nation reports. 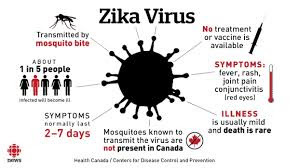 There is no vaccine or treatment for Zika, which is a close cousin of diseases, including dengue and chikungunya, and causes mild fever, rash and red eyes. “The unidentified researcher accidentally stuck herself on May 23 and showed fever and other possible symptoms on June 1. “She returned to work on June 6 when she no longer had a fever. “ On Wednesday, the university was informed that a blood sample from the researcher tested positive for a Zika infection,” the spokesperson for the university, Joe Miksch, said. The Director of Health Department, Karen Hacker, said in a statement that the incident was the fourth confirmed case of Zika virus in the Allegheny County, but declined to give details. “In spite of this rare incident, there is still no current risk of contracting Zika from mosquitoes in the university,’’ it said. U.S. health officials have concluded that Zika infections in pregnant women can cause microcephaly, a birth defect marked by small head size that can lead to severe developmental problems in babies. The World Health Organisation (WHO) had said that there was strong scientific consensus that Zika could also cause Guillain-Barre, a rare neurological syndrome that caused temporary paralysis in adults. The connection between Zika and microcephaly first came to light last fall in Brazil, which has now confirmed more than 1,400 cases of microcephaly that it considers to be related to Zika infections in mothers.